These knit pants, with raw hem edges, are on the cutting edge of style, yet unbelievably easy to make. 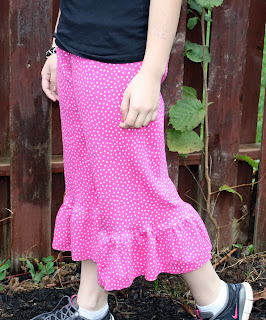 Their elastic waist and optional ruffle makes them comfortable and versatile. Dress them up, use them for exercise, or for pajama pants. 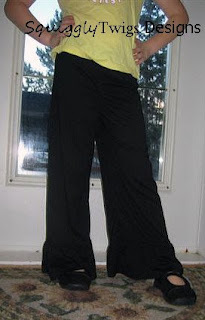 Or widen the leg to create gauchos. Because you use your best fitting, most comfortable knit pants (even pajamas, wink), for the pattern template, you are guaranteed to make pants that fit anyone; children or adults. 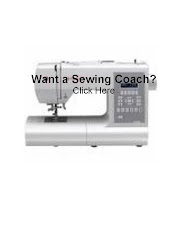 Leave the ruffle off and men and boys would love them also. Is this a girl's pattern, women's or both? This pattern fits everyone, girls, women, boys, and men. Of course the boys and men wouldn't want the ruffle...lol.